Natalie Halcro & Olivia Pierson's Family Will Make You LOL in This Hilarious Relatively Nat & Liv First Look! Get ready to LOL as Relatively Nat & Liv is heading to E! this summer. Thanks to the new teaser above, we know that the new series promises to be a funny, family affair. Nat & Liv follows Natalie Halcro and Olivia Pierson (both of WAGs fame) as they juggle their glamorous Los Angeles lives and their familial duties in Vancouver. This means fans will get to know Halcro and Pierson's extended family…and we couldn't be more excited. "So, E! wants to make a show about our family," Liv notes to the camera. "I mean, I don't know if anyone's ready for this." And it looks like the Nat & Liv family know how to keep it candid. For starters, Halcro unapologetically admits that Pierson uses the word "balls" for all of her passwords. Also, during a candid chat between cousins, Nat's brother Joel Halcro laments his dating woes to Liv's brother Owen Pierson. "The last two people I hooked up with on Grindr blocked me after I hooked up with them," Joel confesses. "Seriously?" Owen remarks in shock. Like Nat and Liv in the promo above, we too are LOL-ing at this admission. Are you? For more of Nat & Liv, be sure to take a look at the video above! 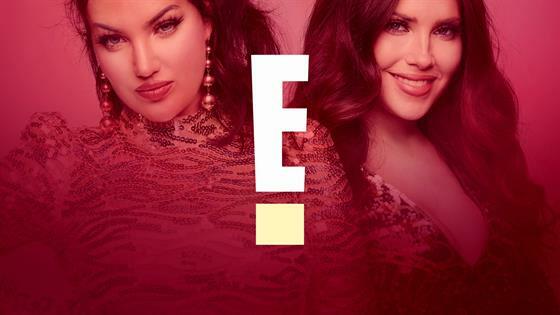 Watch the premiere of Nat & Liv Sunday, June 2 at 10 p.m., only on E!